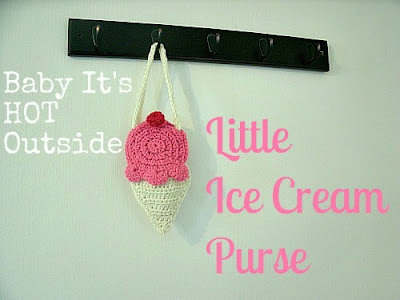 This little purse is so cute! I made one right away for my daughter, she loves it! Materials: Worsted weight yarn in whatever colors you want the cone, ice cream, and cherry to be.